Schools often have difficulty breaking down 5 barriers to student led IEPs. While evidence suggests that conducting student led IEPs can be beneficial, it has not become a mainstream practice across the nation. In fact, many schools do not routinely involve students in planning or communicating progress. Many educators have difficulty breaking down the 5 barriers to student led IEPs based on historical practices. In these cases, students become passive participants in their educational plans. What if schools could break 5 barriers to student led IEPs and collaborative IEP development could occur? And better yet, what if it could be led by the student in a productive manner? Ultimately, our intent is to develop productive members of society right? Why not groom them for increased independence in advocating for themselves through student led IEPs? In order to do this successfully, we must look at the perceived obstacles and offer real life solutions for educators, students, and families of children with special needs. Top 5 Barriers and Solutions to Student Led IEPs. One of the main barriers is educator mindset! IEP planning and preparation has traditionally been left up to the professionals. As a result, true collaborative IEP development has rarely occurred. Changing the way we have always done things can often be more than a mental block. And in education, magnify that impact by 100! Transitioning into a facilitator role rather than a leading role can be daunting for educators. Professionals find it difficult to let go of control and be a causal agent or facilitator. Type A personality roles and responsibilities are often difficult for educators to delegate. Allowing transition of these responsibilities can elicit many unanswered questions about roles, routines, and rules, but it can also open up many new possibilities for the student. It is true that the shift to student led IEPs will not be as scripted as we have grown accustomed to in the past. However, we often get stuck on the “what if’s” and prepare for “worse case scenarios” when dealing with parents and students with disabilities. Rather than worrying about how the discussions will take shape, let them lead the meeting knowing that you too will have an opportunity to share your information with the team. Students continually surprise us with how resourceful they can be when given an opportunity to lead. It is understandable that educators worry about not having enough time to prepare for IEP meetings. It is equally as problematic for special educators to play catch up from missed lessons while in those meetings. It is important to remember that special educators are unduly under time constraints. A quick shift in prioritizing can help alleviate these time constraints. Holding IEP meetings are compulsory so why not spend a little time in lessons teaching student self-advocacy and independency skills. As few as four or five sessions can help a student learn to advocate for himself or herself during IEP meetings. Educators can use already designed curriculum and free resources to save time preparing for these lessons. It is not necessary to waste time reinventing the wheel. Each lesson can easily be individualized based on the student’s needs and abilities. Student preparation will ultimately take less time as he or she gains more practice and becomes more independent. Since the skills that a student will develop are related to the general education curriculum, they can be directly linked to IEP goals. These are life skills that colleges and corporate America expect our graduating seniors to possess. Giving them preparation and practice in a real life scenario will increase carry-over of these skills into their everyday lives. How many times have we taught skills in isolation because we lacked time for practical practice? This is an extremely efficient way to maximize teaching of these concepts as well as direct practice of the skills. One of the most difficult barriers to change is lack of administrator or colleague support. Some people resist because it means changing our normal routines. Others resist change for the fear of the unknown. And of course, there are those colleagues that resist change simply because it “wasn’t their idea”. One thing is for sure, when you explain the benefits of student led IEP meetings and remind everyone about the purpose, vision, and mission of special education, it makes it harder for individuals to come up with valid reasons NOT to try it. If the school is truly student centered, any further argument becomes lower priority. In addition, there is a wealth of literature that can be used for educator professional development related to changing pedagogy as well as the critical principles surrounding developing independent student self-advocacy skills. Educators may worry that the student will be unable to lead a meeting. Remember that the law mandates student participation whenever appropriate. All students can participate in some meaningful way. Each student will vary in their comfort and skill level being involved with their own IEP meeting. The idea is to use this opportunity as a teachable moment or a sequence of teachable moments and lessons leading up to the meeting. Educators can involve the child at his or her level of ability. Maybe the student is present and simply introduces him or herself. Maybe the student introduces all the IEP team members and adds relevant input when asked. As the student becomes more confident, he or she can ask and answer questions. Students certainly can work toward building their own independence toward leading an IEP meeting while slowly developing the necessary communications and presentation skills. What a great opportunity for modeling and scaffolding of these skills from adults! When has a lack of student motivation stopped us from forcing something that we know is truly beneficial for them? Besides, the level of control and input can be an incredible motivator. Students are more likely to “buy in” and cooperate with the ideas and plans that they are involved in creating. Educators who see student motivation as a barrier underestimate the empowerment students can experience when given the responsibility and authority to direct their own educational plan. 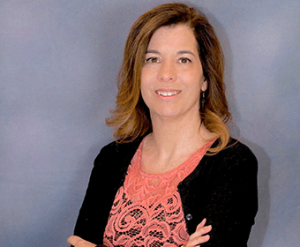 About the Author: Kelly Ott has over 22 years of experience as a licensed speech language pathologist, consultant, educator and administrator. Kelly has served children and adults with a diverse range of speech, language, swallowing, learning, and communication needs. She has provided direct speech pathology services, specialized tutoring services, educator professional development training, business communication and presentation training. Kelly is dedicated to providing students, educators, and parents with specialized strategies for achievement.